Your business savings working for good. Do you know what your business savings are doing? Do you believe that building a good business benefits society? We do. With our new Ethical Easy Access Account, you can earn a decent rate of interest, have same day access and know that your money is working hard to build a better society too. What’s more, with our personal service, based here in the UK, you’ll talk to a real person. Apply below today. By saving with Charity Bank, your surplus liquidity can become a powerful force for good: it might be used to build affordable homes, launch community projects or help disadvantaged young people find employment. Opening an account is straightforward, simply complete an online application form and provide a scanned copy of a bank account statement for your organisation. 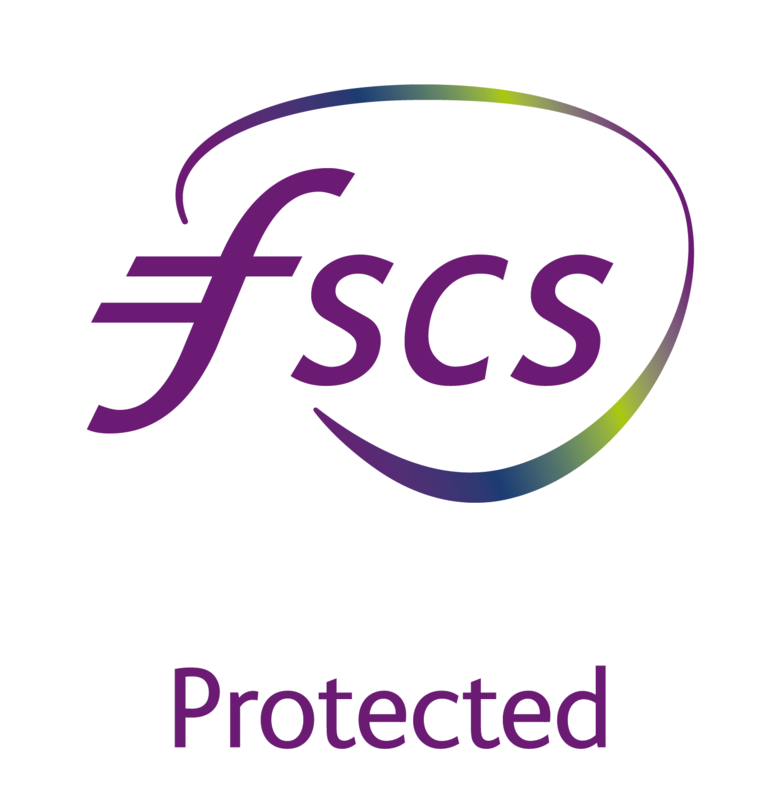 Eligible deposits with Charity Bank are protected by the Financial Services Compensation Scheme, the UK’s deposit guarantee scheme. Apply to open our Ethical Easy Access Account in minutes. You can earn a decent rate of interest, have same day access and know that your business savings are working hard for good. *Gross is the interest rate without tax deducted. **If you are a charity, business or private individual looking to place deposits greater than £500,000, please contact our savings team on 01732 441944. For sole traders and individual partnerships interest will be paid without tax deducted (gross). If the total amount of interest you receive in any tax year exceeds any Personal Savings Allowance to which you’re entitled, you may have tax to pay at the applicable rate. This would need to be paid directly to HMRC. For more information, please visit gov.uk and search for ‘Personal Savings Allowance’. For corporate customers interest will be paid gross. £10,000 (if your balance falls below £10,000 we'll pay you 0.10% Gross/AER). You can access your savings via CHAPS (fee applies) or Faster Payment to your Nominated Account when you email us a withdrawal notification form signed in accordance with your mandate. As an additional security measure we will follow up receipt of the withdrawal notification form with a call back to an authorised signatory to ask for characters from the memorable word linked to your account. There is a limit of one withdrawal request per day and a maximum daily withdrawal limit of £125,000. Signed notifications must be received by 11.30 a.m. on a business day; instructions received after these times will be processed next business day. First payment by cheque or electronic transfer. Subsequent payments by direct debit, cheque and electronic transfer. Interest is calculated daily and added to your account quarterly in March, June, September and December and on closure of your account. There is no bonus interest payable. Can Charity Bank change the interest rate? The interest rate is managed and may be altered in accordance with Section 9 Changes to interest rates of our Terms for organisations (Ethical Easy Access Account). All accounts are operated by post or email. We can answer any questions directly by email or over the phone. Opening an account The Ethical Easy Access Account (Business) is available to limited companies, sole traders and partnerships looking to save and do good. Companies and shareholding companies must be UK registered. All directors, additional signatories, members, partners and shareholders must be permanent UK residents. If you elect to 'APPLY ONLINE' you will need to print an Application Summary form at the end of the online process to sign and return to us. Money when you need it: You can access your savings via CHAPS (fee applies) or Faster Payment to your Nominated Account when you email us a withdrawal notification form signed in accordance with your mandate. As an additional security measure we will follow up receipt of the withdrawal notification form with a call back to an authorised signatory to ask for characters from the memorable word linked to your account. There is a limit of one withdrawal request per day and a maximum daily withdrawal limit of £125,000. Saving for impact: You can deposit up to £500,000. Withdrawals. You can access your savings via CHAPS (fee applies) or Faster Payment to your Nominated Account when you email us a withdrawal notification form signed in accordance with your mandate. As an additional security measure we will follow up receipt of the withdrawal notification form with a call back to an authorised signatory to ask for characters from the memorable word linked to your account. There is a limit of one withdrawal request per day and a maximum daily withdrawal limit of £125,000. Questions? Talk to us if you have any questions – telephone 01732 441944 or email enquiries@charitybank.org. Read about how our borrowers are using loans to grow, innovate or simply support their work as they breathe life back into communities and help people in challenging situations to live the lives they want. Fivehead Village Hall in Somerset is a purpose-built venue that provides the village with a place to socialise and space for a range of community activities. Lakeside, managed by YMCA Fylde Coast, was founded almost 70 years ago, to give children and young people the chance to experience new challenges outdoors. Kingsley Hall Church & Community Centre has been providing a place for everyone from the community to come together for almost 90 years. Today TLG have 11 education centres that give young people a second chance for an education, and 39 early intervention centres across the UK that provide extra support to children at school.